Is my current hood cleaning company cleaning just my hoods and fans or the entire system? A clean hood does not mean you have a clean exhaust system! CRC can provide a free inspection and quote. Many companies in this industry will send unqualified workers to your facility. We are in constant training of our technicians. We encourage upward mobility of each member of our team. We also continue to look for innovative technology in improving our cleaning process. Safety is our number one priority. Whether it is driving a service van or being onsite performing service our crews will operate and function in a Safe Manner. Our experience and state of the art equipment enables us to clean the most difficult exhaust systems. In fact we specialize in cleaning systems most companies would walk away from. Some exhaust systems were poorly designed; and provide little or zero adequate access for cleaning. At CRC our experience, well trained staff and commitment enables us to formulate strategies to get exhaust systems compliant. We will provide a maintenance program for our customers to be compliant and safe. We specialize in Restaurant Kitchen Exhaust Cleaning. But we are a full service cleaning company that can meet many other needs; high-line cleaning, equipment cleaning, and various specialty cleaning applications. To continue to expand our services throughout the Southwest, focusing on providing premium Kitchen Exhaust Cleaning to our customers consistently. To continue to be the leading Kitchen Exhaust Cleaning Service throughout the Southwest. To continue to develop top notch, streamlined training program to ensure all Technicians are providing consistent services throughout our Region. To be a company where all Technicians and staff feel connected and engaged to uphold our Mission and Vision in all activities! CRC's Mission is to be recognized as the leading provider of restaurant exhaust system cleaning services in the Southwest. We will offer our clients value-added services in order to expand our current market place and gain market share in new areas. Our company growth will be sustainable, and will be based on integrity, customer service and value. All of our employees and managers will strive to make our company excel in the industry. To be the Regional Leading Company recognized in the industry for top-notch quality service. To ensure all Technicians have obtained specialized advanced training in Kitchen Exhaust Cleaning. To always operate with honesty, integrity and dedication to our customers. CRC will provide a higher overall experience not seen in our industry. From the first point of contact through the final detail of cleanup at your facility we will strive for; quick response, excellent communication and quality workmanship. Our administrative staff and technicians will demonstrate honesty, integrity and professionalism. Our CRC Team has a common goal and works together on all levels to provide the best service. Each team Member at CRC is an important member of our family and is respected, admired and recognized by their peers. 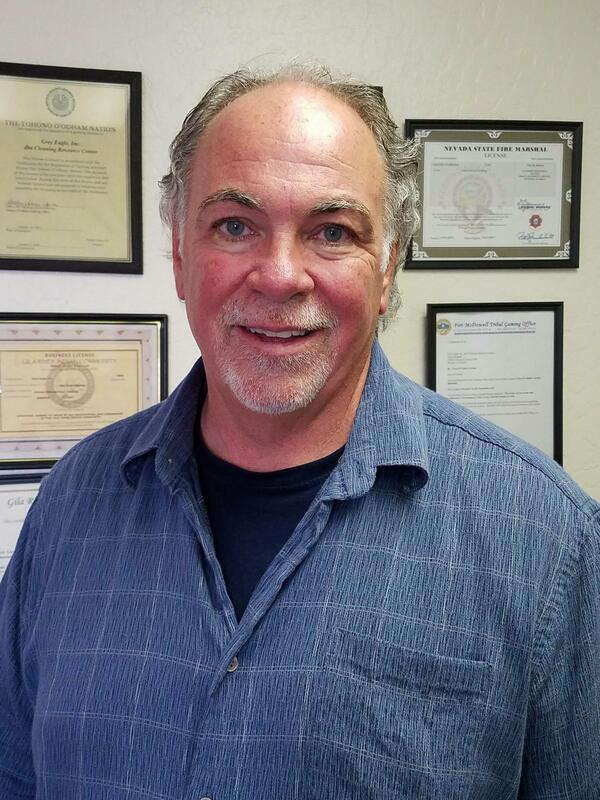 Patrick’s military service began in 1976 when he enlisted into the United States Air Force. Patrick was honorably discharged in 1980, after his last assignment in the 82OMS WAFB. 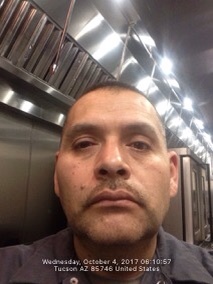 Patrick, an entrepreneur, focused on the commercial kitchen exhaust system cleaning industry. As Chief Executive Officer and Director of Sales he oversees operations and marketing in Arizona, California and Nevada. He has over 20 years experience in the industry and is the author of CRC's Technician Manual detailing the steps from new worker to Certified Technician. Patrick believes one of the ongoing factors of growth and success of the company is a direct result of the large efforts put forth into training the Technicians. His vision is to be the leading regional company in the Southwest recognized for top-notch quality service provided by highly trained technicians with honesty, integrity and dedication to our clients. Sam Perez is an Arizona native with a collective 5 years of experience in the fire safety industry. At age 19 Sam was power washing kitchen exhaust fans and hoods and was able to learn the ins and outs of how the service is performed. By the time he was 23 he was selling hood cleaning services and performing quality assurance inspections on current customers. 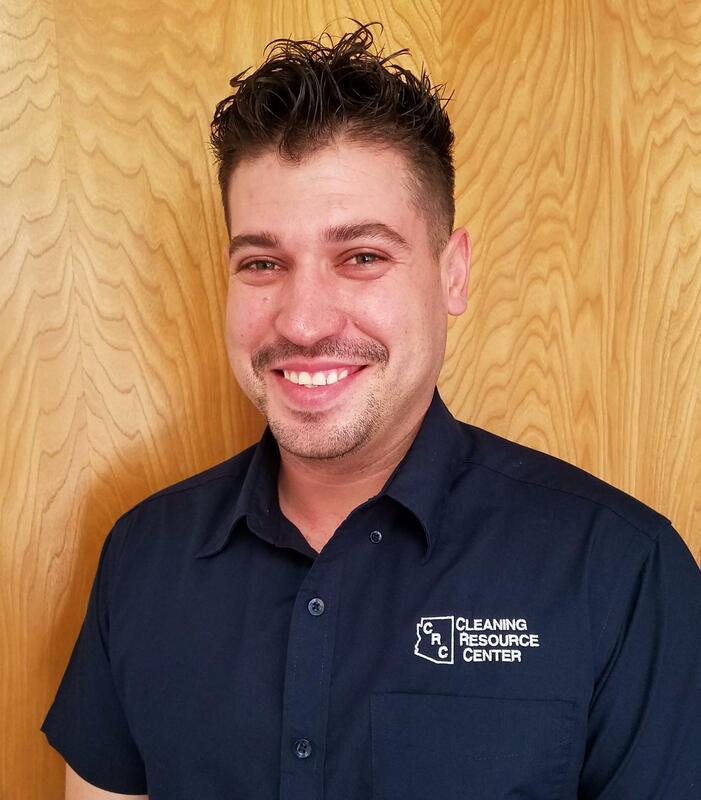 After taking a break from the fire safety industry for 2 years, Sam returned to his roots and was hired on by the Cleaning Resource Center (CRC) as the Operations Manager. At age 26 Sam has accomplished an AAS in Criminal Administration (Phoenix College), a Bachelor’s Degree in Justice Studies (Grand Canyon University), 2-years in Law Enforcement and a Master’s degree in Leadership (Grand Canyon University). Sam’s drive and dedication to grow both in his career and personally are what make him a good fit for the CRC team; he pushes everyone around him to reach their highest potential. Sam knows the standards set by NFPA 96 for Commercial Kitchen Exhaust Cleaning and he understands how devalued the hood cleaning service can be. So he works closely with our customers and educates them to help them make the best decisions for their business, while maintaining the Kitchen Exhaust System up to code. 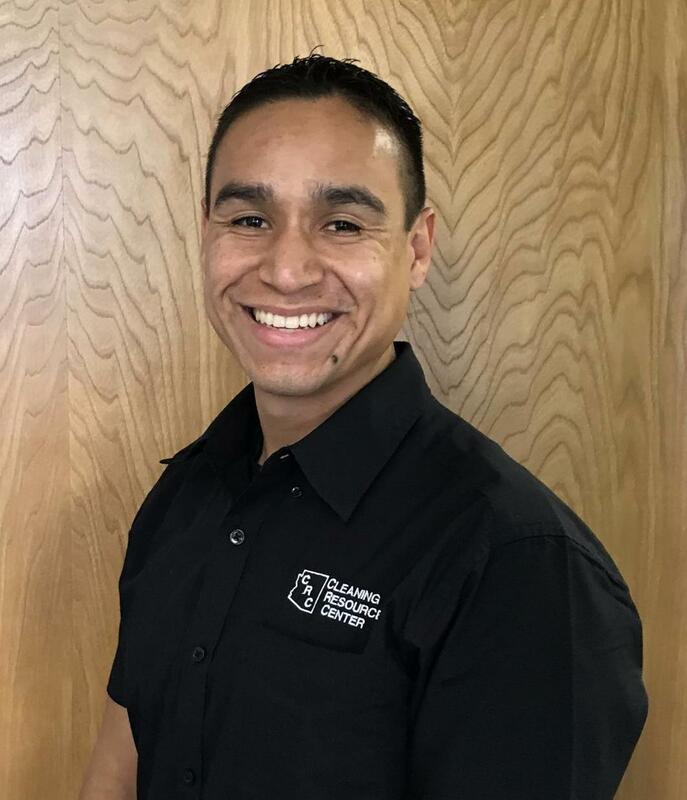 Luis Morales began a student internship in 2007 with Apache County in the Superintendent of Schools Office. This was the initial step Luis took into working with the county and state government administrative operations. Luis worked in school finance for four years before transferring to the judicial probation department. After 10 years of dedicated service to the county and state governments Luis relocated relocated to Phoenix, AZ and began a new chapter in his life. Luis possesses a high skill level in administrative and supervisory work that has helped CRC establish a solid foundation in the work flow for the various offices. Luis excelled as a hood cleaning technician and was promoted to night supervisor in a short period of time. Due to his eagerness and ability to learn quick and adapt he was transitioned to office manager. Luis is a full time student seeking to acquire a Bachelor's Degree in Justice Studies from Grand Canyon University. George Arambula an Arizona native who enjoys fishing and spending time with his family. He is the Service Manager for the Southern Arizona region and holds 10 years of work experience from the Tucson, AZ, area to the Las Vegas, NV, market. He very much enjoys his work and is dedicated to providing the best service to our customers. George's team in Southern Arizona will consistently provide excellent service to our customers.